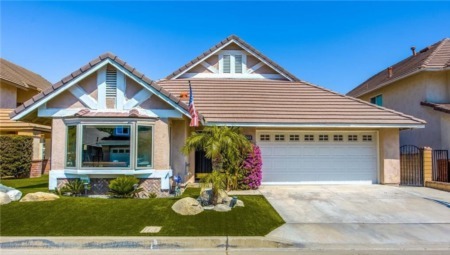 ***PRICE IMPROVED*** Beautifully remodeled single story home with four bedrooms, two bathrooms, and a three car garage located in the sought after community of Anaheim Hills Estates. Welcoming curb appeal with attractive stone lined driveway and professional landscape. Double door entry leads you into this open floor plan with step down formal living room featuring wood flooring, custom fireplace, and plantation shutters. Formal dining room includes travertine flooring and plantation shutters. Gourmet kitchen offers granite countertops, stainless steel appliances, breakfast nook, and opens to family room. Spacious family room is perfect for entertaining with granite countertop wet bar, travertine flooring, and gorgeous french doors opening to the backyard. Sizable master bedroom with ceiling fan, walk-in closet, and plantation shutters. Remodeled master bathroom with granite dual sink vanity, new fixtures, and walk-in shower with frameless glass enclosure. Three additional bedrooms all include recessed lighting, plantation shutters, and cool ceilings fans. One bedroom is currently used as an office opening to the living room and adding to the flowing floor plan. Remodeled guest bathroom with granite vanity. Convenient laundry room located inside between garage and home. Large lot over 9200 square feet includes professionally landscaped backyard with in ground spa, two patio covers, putting green, wrought iron gated rear & side yards, and lush greenery. SchoolsClick map icons below to view information for schools near 6728 E Swarthmore Drive Anaheim Hills, CA 92807. 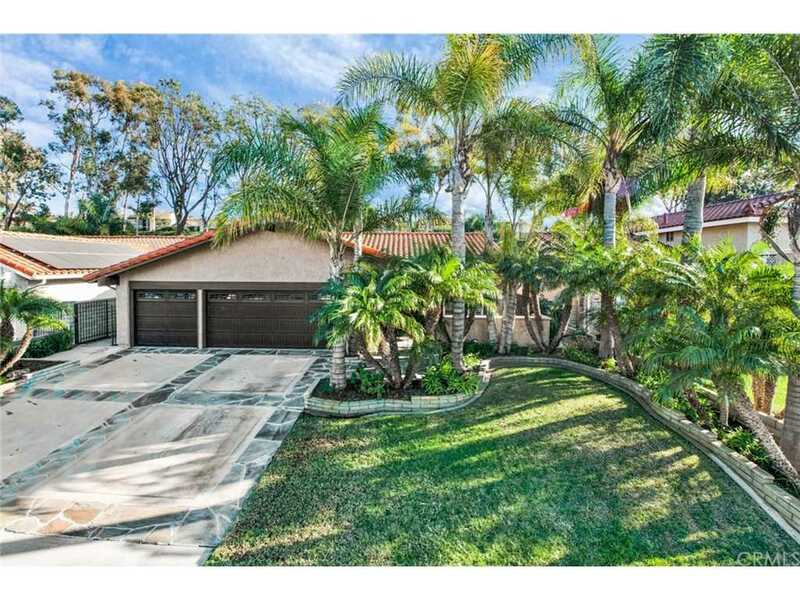 Listing provided courtesy of Gilda Johnson, Seven Gables Real Estate.